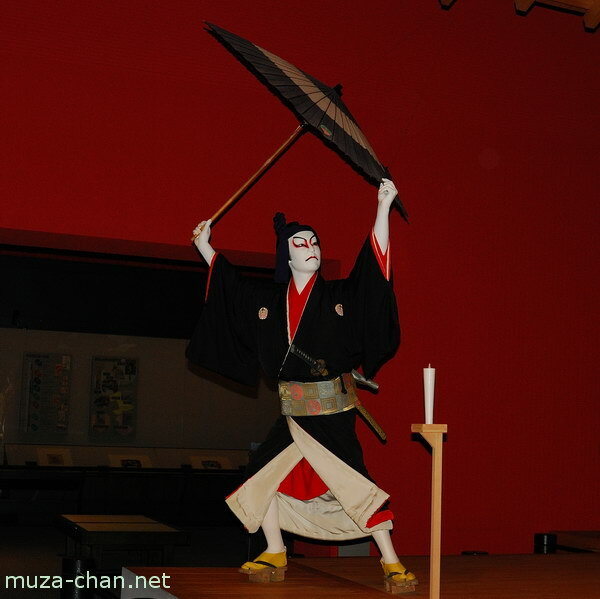 Invented 300 years ago by one of the most famous kabuki actors of all times, Ichikawa Danjūrō I, the technique called mie is the main attraction of the kabuki performances. Mie means “appearance” or “visible” in Japanese, and the technique requires freezing the body in a very powerful pose, to indicate that the emotions of the character reached their maximum. Photographed here is a mie pose reproduced in a diorama at the Edo Tokyo Museum after a scene from the Tokaido Yotsuya Ghost Story, a Kabuki play that premiered in 1852 at the Nakamura-za Theater.